With your financial support, we can continue our efforts of ending sexual violence in Acadiana. The holidays are a joyous time for so many of us, but for survivors of sexual assault we know that the season often brings feelings of isolation and increased anxiety. At Hearts of Hope we work tirelessly and 24 hours a day to meet survivors where they are and to provide them with the support services and comfort they need to feel hopeful about their healing and their future. Let your online shopping go towards a great local charitable cause. 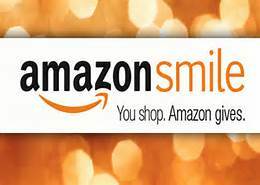 Amazon will donate 0.5% of the price of your eligible purchase to Hearts of Hope whenever you shop on AmazonSmile. Click HERE to start shopping now! Donate for a Cause is the premiere timeshare donation charity in the U.S.A. It accepts timeshares as a donation and turns them into cash for local and national charities. It offers our clients the fastest, most effective and risk-free method for getting rid of their unwanted timeshare. Timeshare donation offers a generous tax-deduction and helps consumers avoid the pitfalls of selling their timeshares – the unnecessary cost of listing services, brokers fees and scams. Contact a timeshare donation specialist today to get out of your timeshare! Visit: HTTP://www.donateforacause.org.